Buy > AVS® 994004-PW7 - In-Channel Low Profile Ventvisor™ Factory Bright White Clear Coat Front and Rear Window Deflectors > For 1500 RAM TRUCK - Cheap Price! In-Channel Low Profile Ventvisor™ Factory Bright White Clear Coat Front and Rear Window Deflectors (994004-PW7) by AVS®. 4 Pieces. Paint Code: PW7. 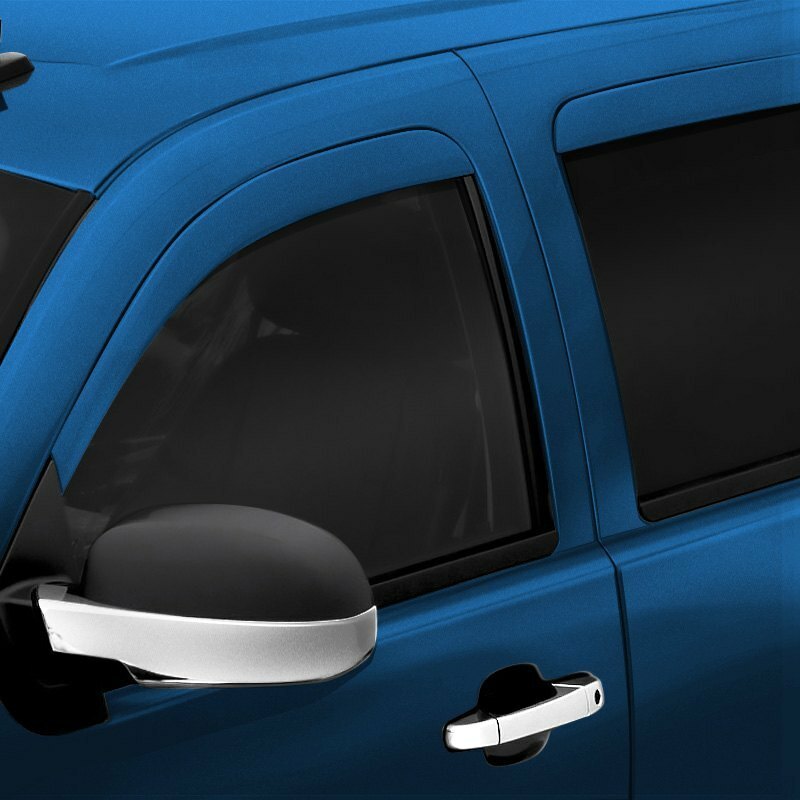 To let the fresh air inside your vehicle’s cabin while keeping the nasty weather out, go with this super durable set of window deflectors from AVS. To look natural on your automobile, the deflectors come in factory match colors and are precision engineered for an exact fit. The customized design easily mounts in minutes to your vehicle using pre-applied 3M automotive-grade adhesive.